Rarely have those in the real estate industry been accused of not knowing how to have a good time. This time of year, with winter finally ending and every prankster’s favorite holiday upon us, we thought it would be fun to speak with some real estate professionals to hear about pranks they’ve done on their colleagues — whether for April Fool’s Day or just to fool around. Just this past month, Baird & Warner agent Peter Moore pulled a doozy on a loan officer he frequently works with. A buyer was on the home stretch on the road toward closing and was nearing the green-light for a clear-to-close on a multi-unit property. The margin of error was thin, and Moore described the process as a bit of a nailbiter in which his buyer would need to exercise some fiscal discipline through the process. “It was going to be tight to make the loan work,” he said. Part of why the gag worked so well, Moore said, is because he’s had a number of deals fall through when buyers have done things like make major purchases exactly when their financials were under the microscope and whether they’d qualify for a loan was still an open question. “It’s always the types of people you’d expect it to be who do that,” Moore said, chuckling. Erik Johansson, who’s now with bemortgage, was with Guaranteed Rate a few years ago. 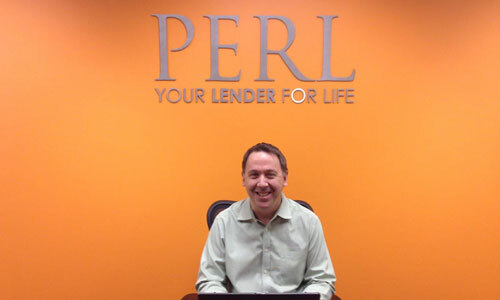 His home office in Schaumburg was across the street from an office of competitor Pearl Mortgage. Johansson had a friend at Pearl, and one April Fool’s Day he went to the office for a visit. Finding it unattended, Johansson took a seat at the front desk with a big Pearl logo on the wall behind him, and had another friend take a picture. A Facebook post with the photo announced that Guaranteed Rate had bought Pearl, effective immediately. It was just plausible enough that around a third of those who saw it took it for legit, according to Johansson. It went viral. Back in the ‘80s and ‘90s, Drussy Hernandez worked out of Koenig & Strey’s office on Clark Street in Lincoln Park. 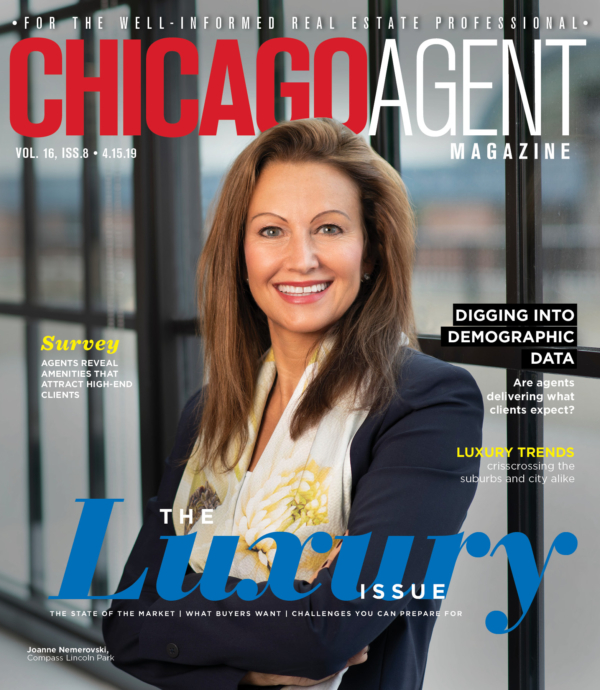 Pranks abounded in the office, but she has two favorites that she recounted at a cocktail hour at Chicago Agent magazine’s recent Accelerate Summit. One can imagine a real estate office on a busy corner inviting the occasional attention of parking enforcement authorities. Such was the case at Koenig’s Lincoln Park office. One day, an agent working toward the back of the office and away from the window couldn’t see a tow truck lurking outside. Hernandez, who was near the window, had a clean view and could tell that this agent’s car was in no danger, but the car directly behind it was about to get a trip to the impound lot. “Your car’s getting towed! You better get out there,” she shouted, knowing full well that no such thing was happening. Another story Hernandez recalls involved a clock and a box. The office had a tradition of giving an ugly old clock with a unicorn on it to agents as a “gift” if they had a birthday or some other occasion. Everyone in the office knew about the clock. On the birthday of one agent, Hernandez called the agent, who was taking the day off, into the office, saying there was important business to discuss. Waiting for him was a giant cardboard box with a UPS label that had the agent’s name on it… and inside was the infamous ugly clock. Several years ago on April Fool’s Day, bemortgage’s Tim Brigham got his old friend “TK” Tariq Khwaja good. At the time, the pair were both with Evolve Bank & Trust. Brigham and bemortgage Production Manager Karoline Axler were talking about how they could top past pranks on TK, of which there had been quite a few. It’s probably not an exaggeration to use the word “epic” to decribe what they came up with. Brigham had a helium machine shipped to him and bought several hundred balloons and a large amount of aluminum foil. He showed up at the office around dawn and covered every single object in TK’s office — from his computer mouse to pictures on the wall — with foil, and then left the office full of balloons, from floor to ceiling. “We had trouble figuring out how we were going to close the door without balloons getting out,” Brigham said.